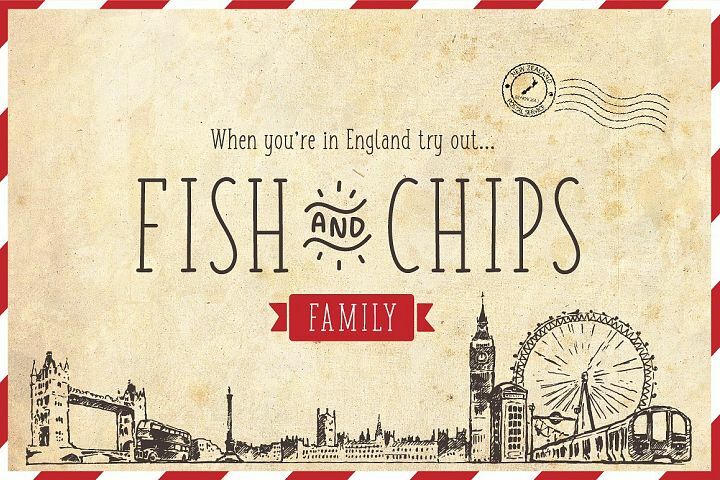 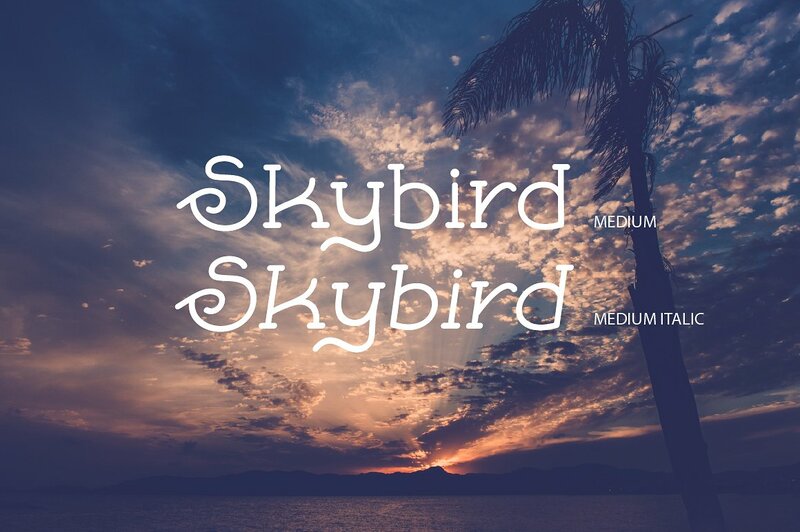 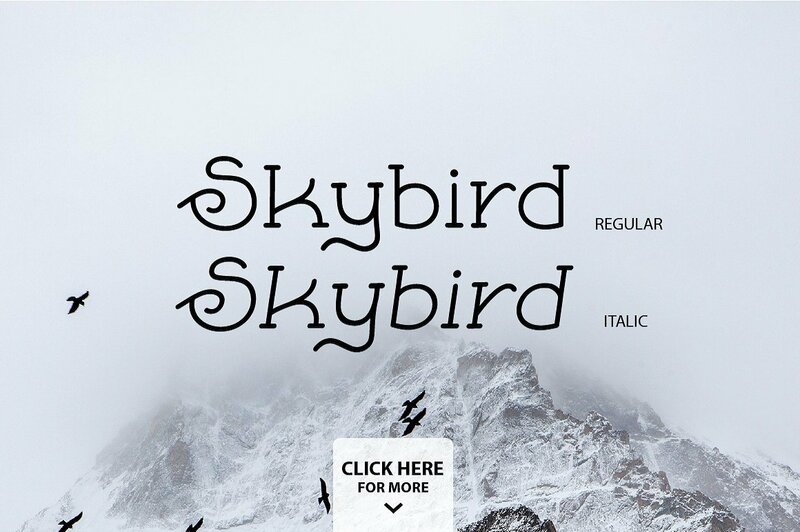 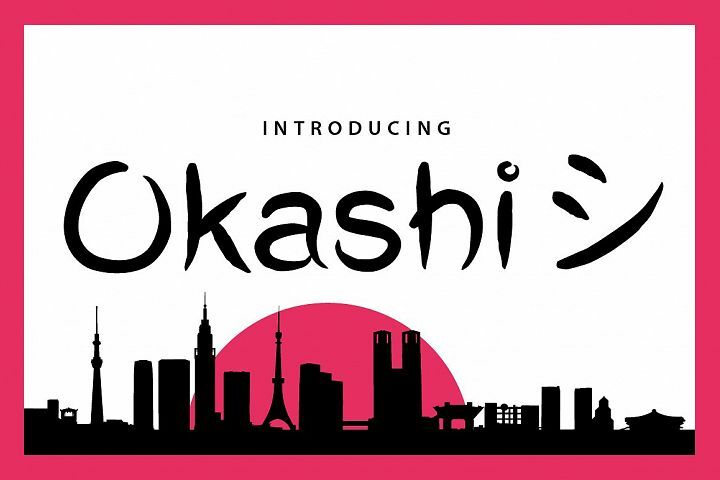 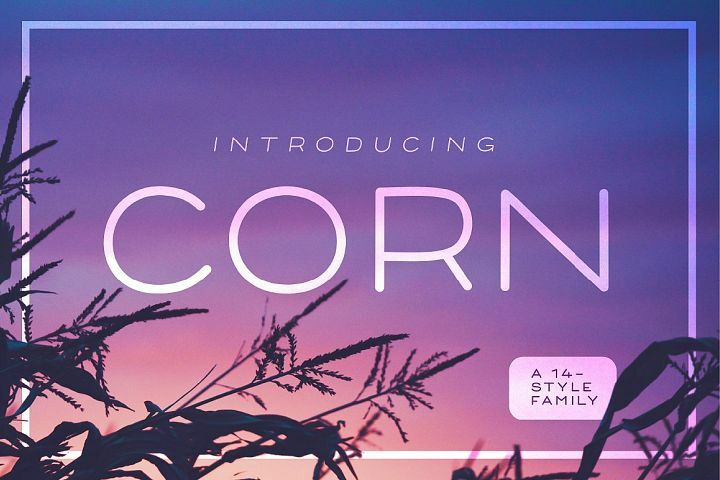 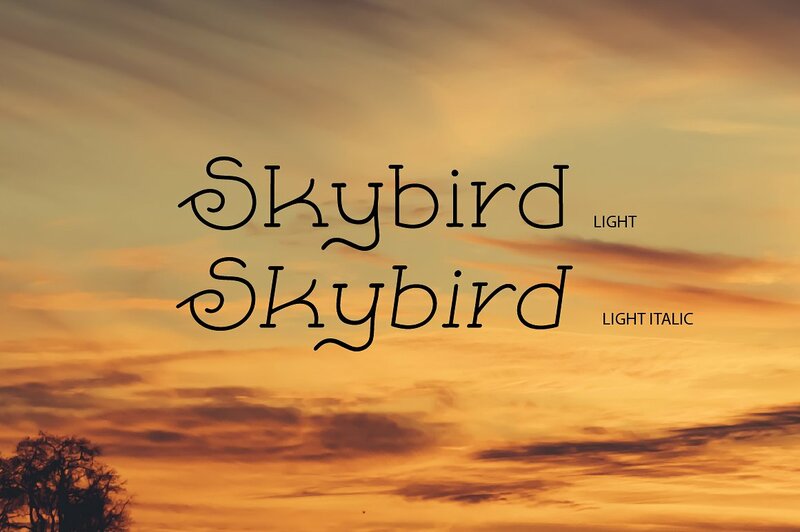 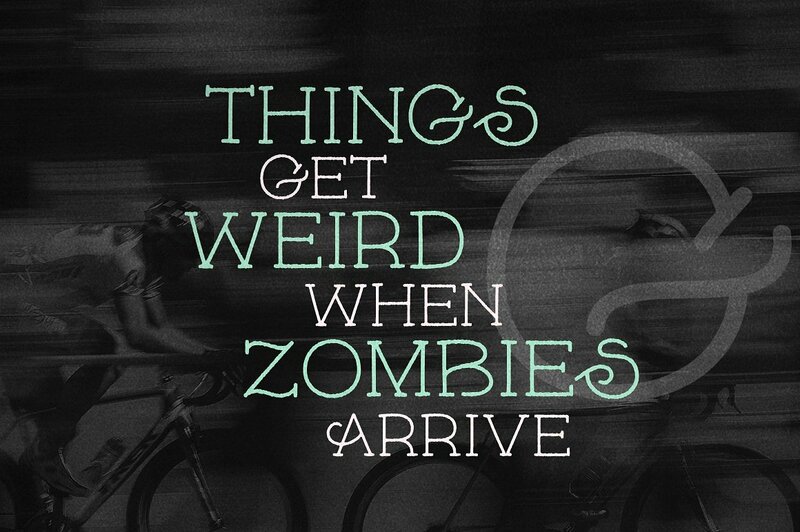 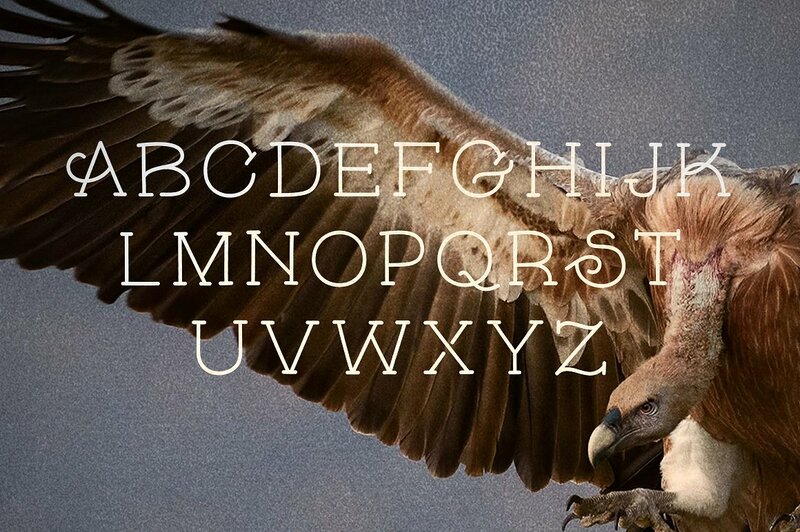 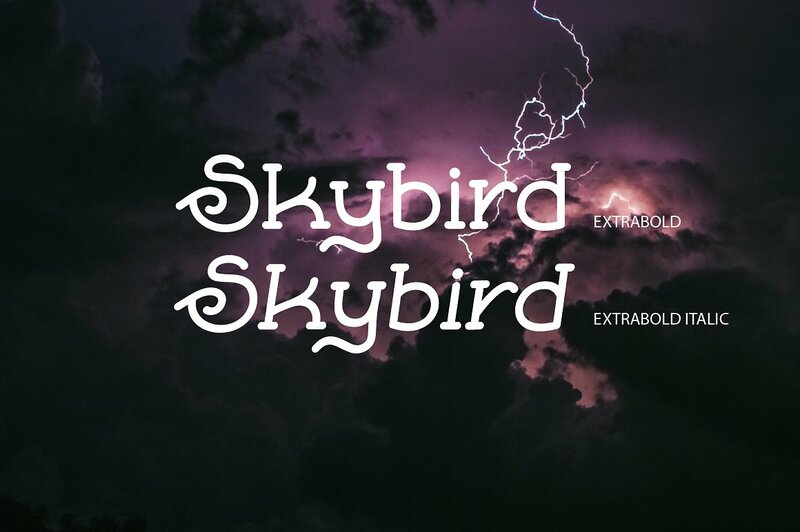 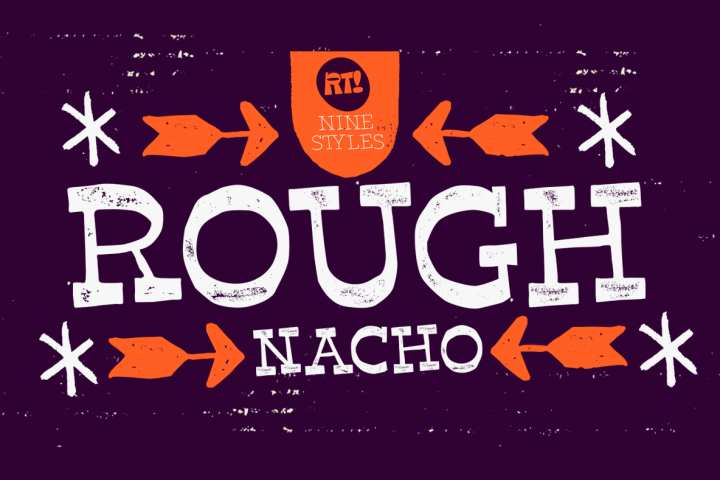 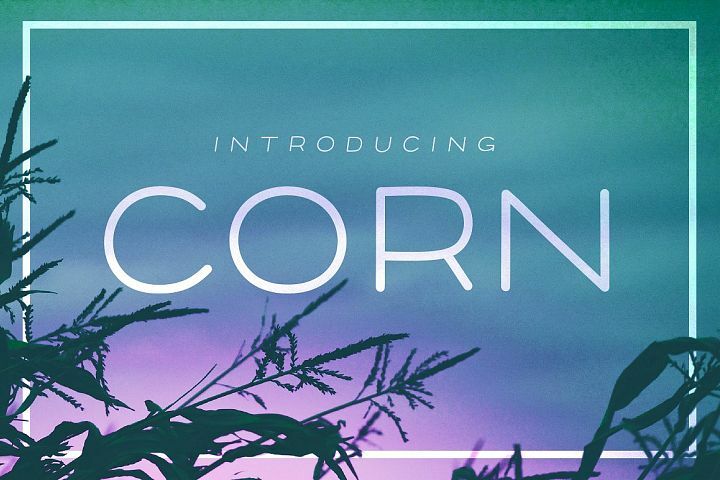 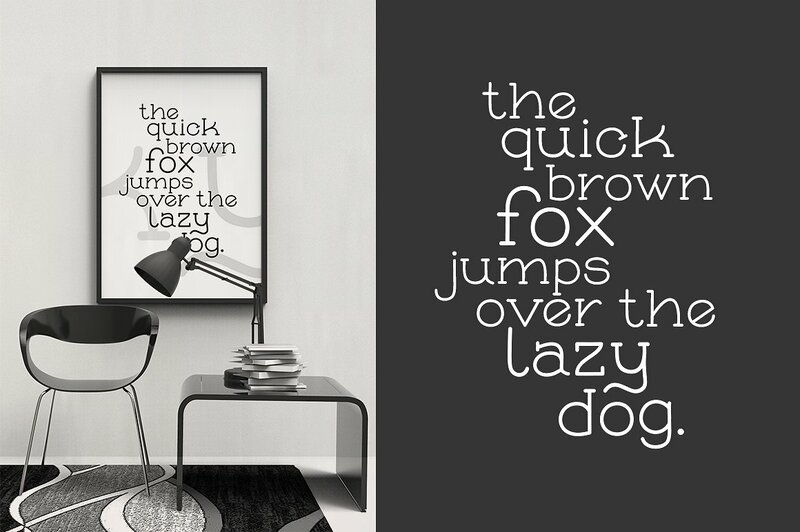 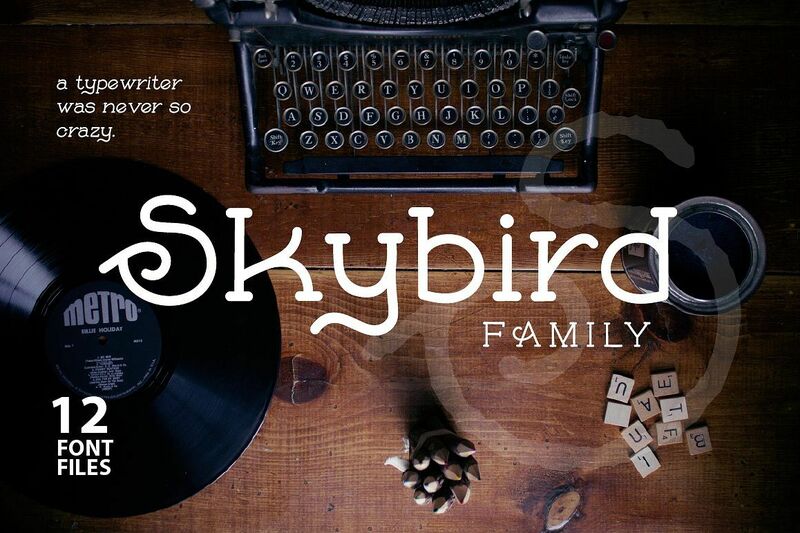 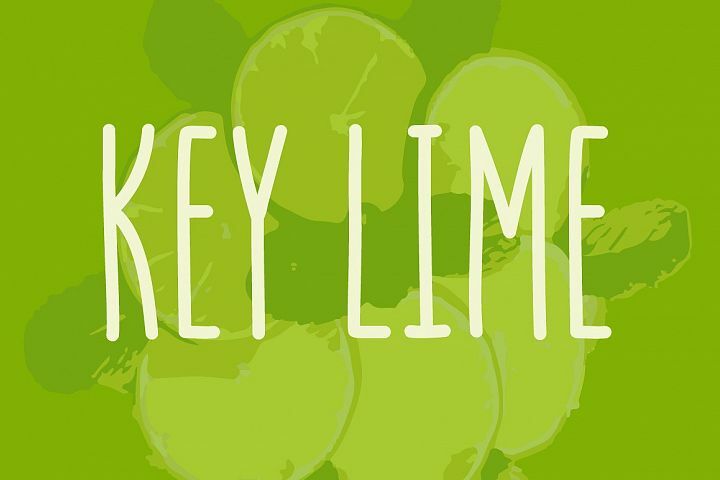 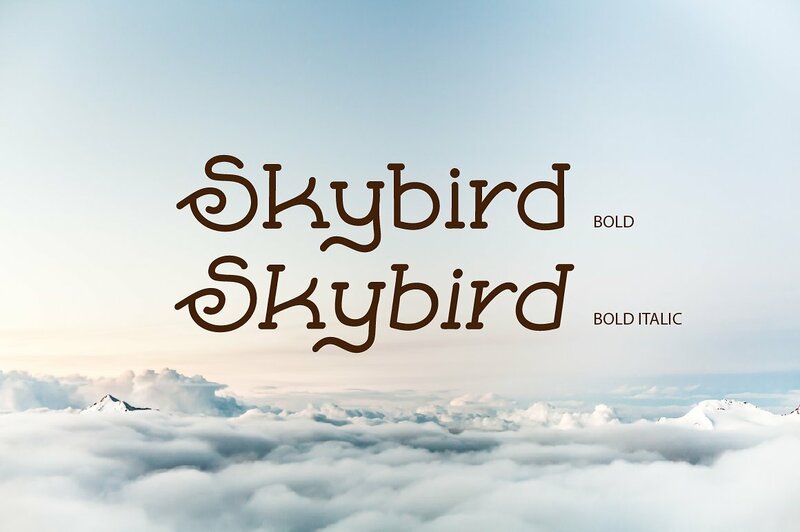 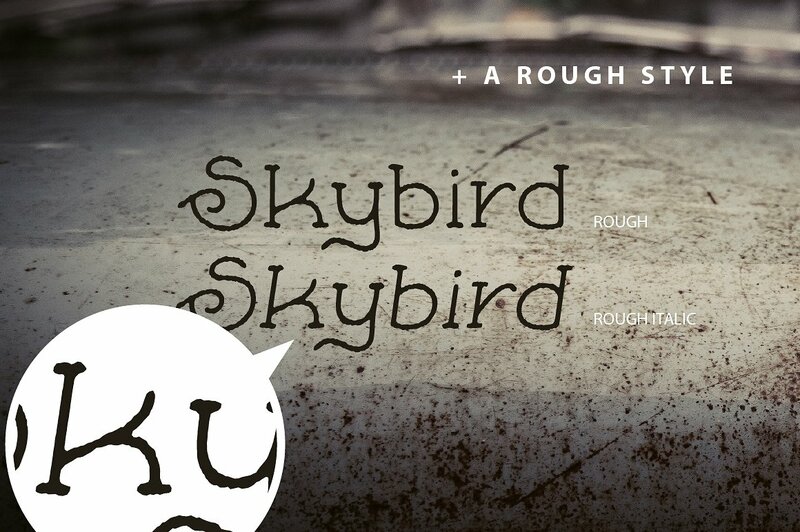 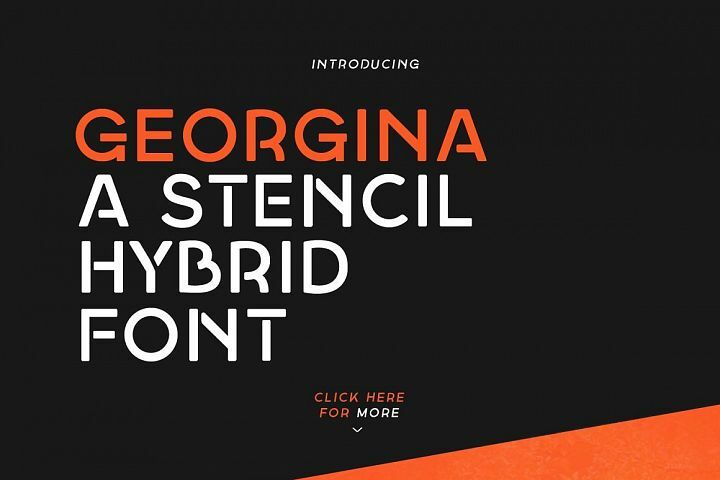 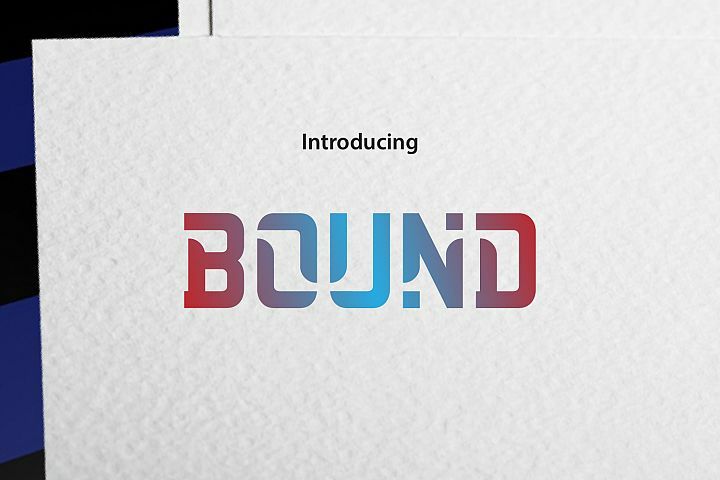 Skybird is a new crazy serif font. 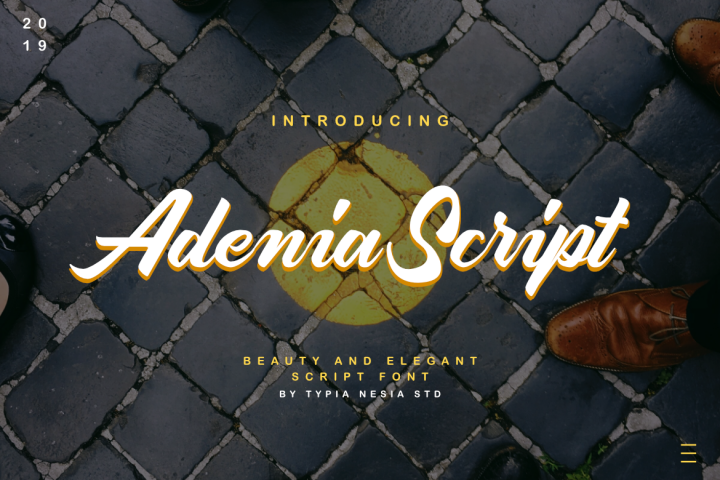 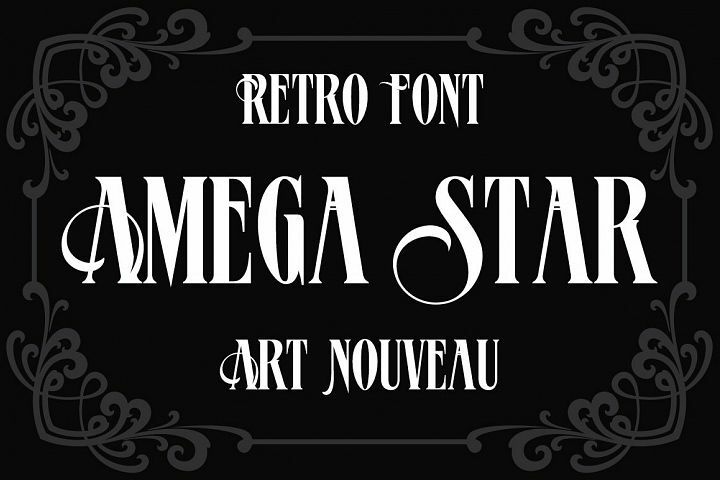 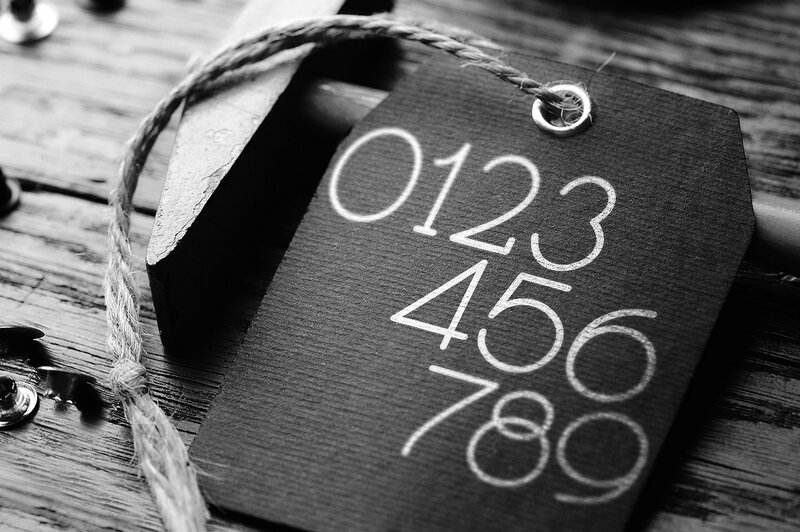 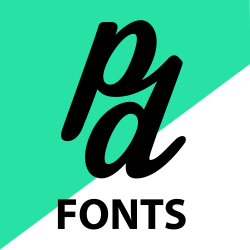 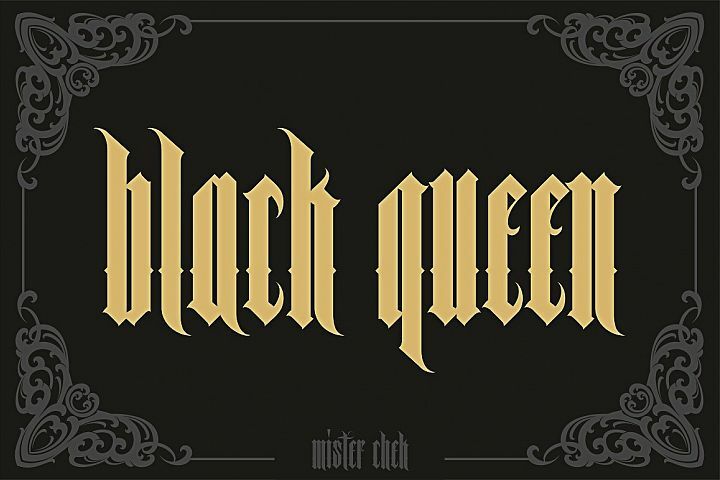 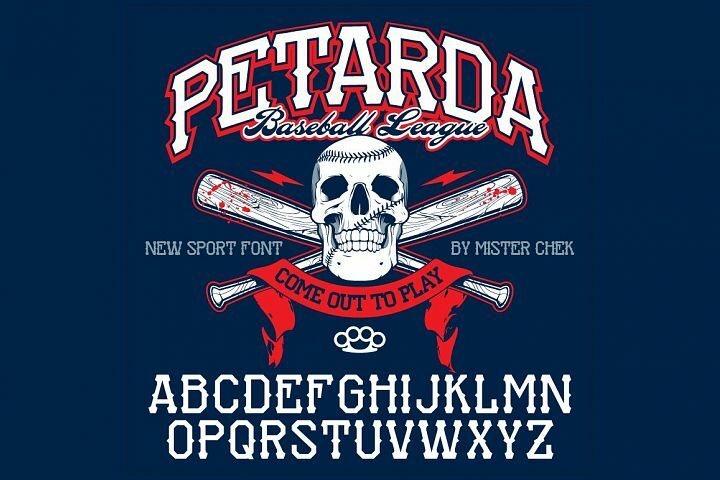 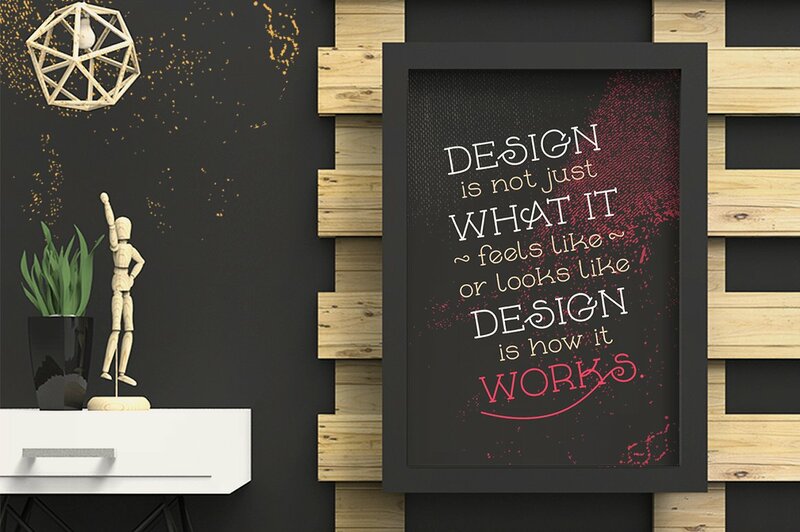 Its unique glyph designs make it a special retro font. 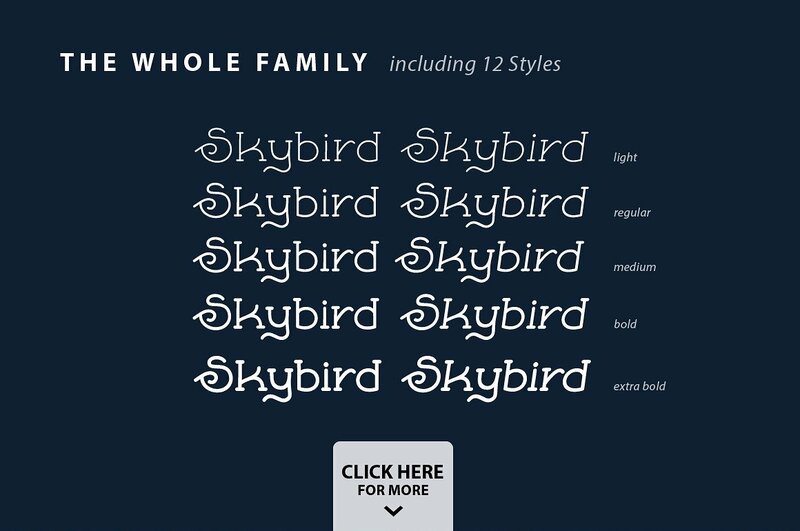 It comes in 12 different styles. 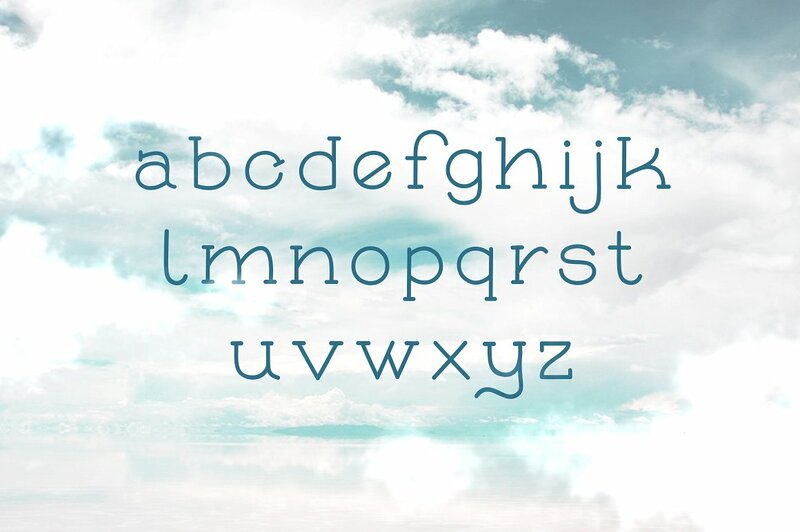 The glyphs written in small letters are looking normal, but try to write just in caps to get the real crazy nature and fresh style of the font.